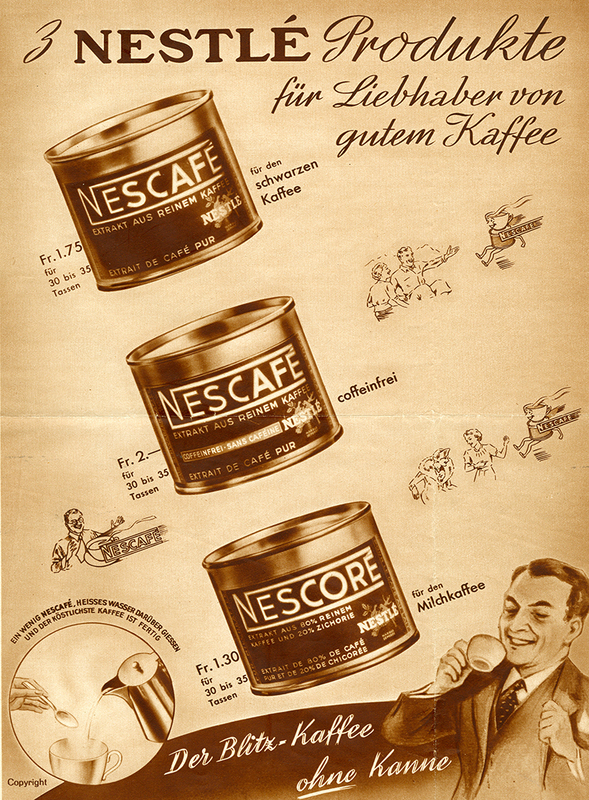 80 years ago, the method for producing a water-soluble coffee extract was developed in Vevey. Overshadowed by Nescafé’s global success, its inventor, food chemist Max Morgenthaler, has been virtually forgotten. 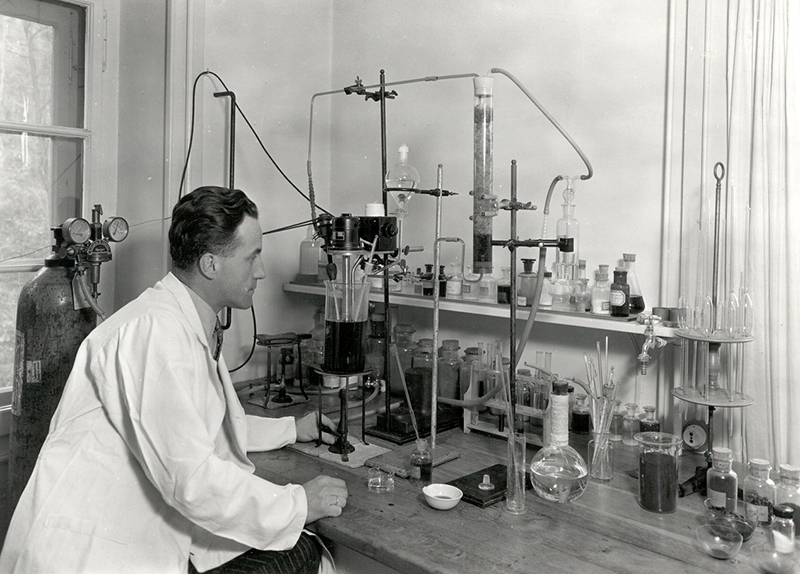 After training at the University of Bern, young food chemist Max Morgenthaler specialised in adding vitamins to dairy products, and in 1929 he moved to Vevey to work for Nestlé as a technical chemist. That was the year the bottom fell out of the stock market and numerous businesses ended in bankruptcy. Across the globe, huge fortunes were wiped out overnight. Even the stocks of coffee hoarded for years by the Brazilian government become so worthless that the beans were burned as fuel in locomotives. The only hope for long-term protection against a coffee crisis and price collapse was an industrial process to manufacture water-soluble coffee powder. Nestlé, a global player with extensive experience in food preservation, seemed to be the knight in shining armour the coffee moguls needed. But in Vevey, the endeavour was viewed with scepticism. Previous attempts had failed; in all methods trialled thus far, the coffee aroma had been lost. But the prospect of huge revenues beckoned. In 1932, the company’s management instructed Max Morgenthaler to develop a method to retain the coffee aroma and flavour in a soluble coffee extract. Morgenthaler’s coffee research consumed a lot of time and resources; success was nowhere in sight. In the meantime, Brazil had destroyed 52 million sacks of coffee beans and the global market price had halved. In August 1935, Nestlé’s management declared the experiment terminated. But the dedicated chemist just couldn’t give up. He bought a supply of coffee beans and continued his research at home. During slack times, he was allowed to work on his project in the factory laboratory. After two years of ‘homework’, in April 1937 Morgenthaler was convinced he had found the solution. He invited the executive board to a tasting. The reaction was enthusiastic: ‘Mother Nestlé has produced a beautiful baby!’ Success really does have many fathers! Morgenthaler’s tenacity was a ‘godsend’ for the company. At long last, they had a product that would free the group from its ‘condensed milk monoculture’. Nestlé planned to start industrial production of its new flagship brand ‘Nescafé’ on every continent. Switzerland was to be the test market. On 1 April 1937, the little round cans with the coffee-brown label made their debut on the shelves of the nation’s stores. The initial target groups for the ‘instant coffee’ were single men, who were finally able to make drinkable coffee without a woman’s helping hand, and middle-class housewives, who could now serve up a decent coffee in a flash whenever guests dropped by unexpectedly. But mountaineers, yachtsmen, boy scouts and night workers were also wooed with free samples. The ‘instant coffee without the pot’ surpassed all the advertising strategists’ expectations. The Swiss loved their little instant can! On 31 December 1938, the manufacturing patent was issued for Dr Max Morgenthaler. 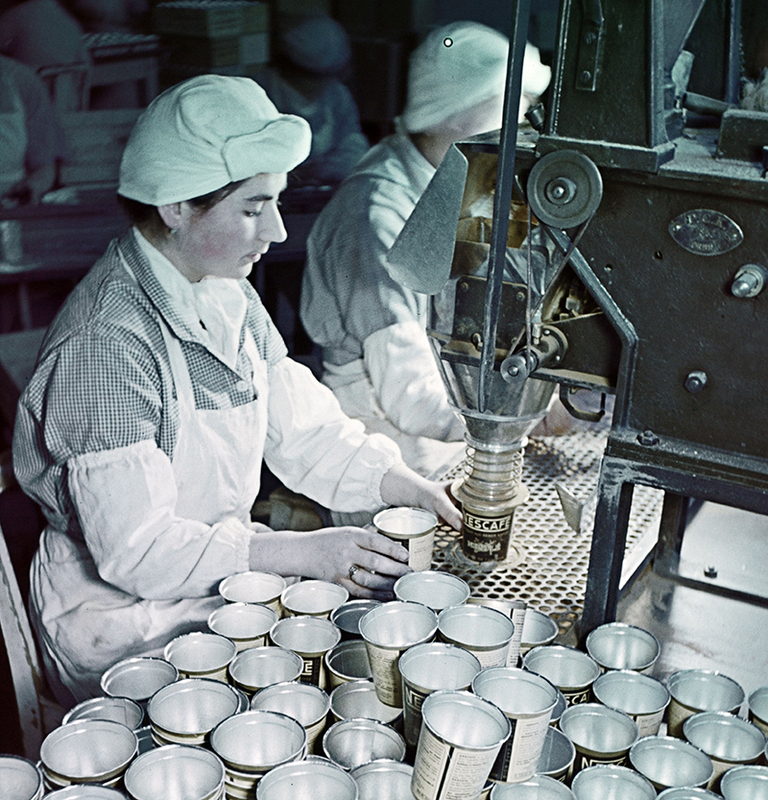 The outbreak of the Second World War abruptly put the brakes on the high-flying aspirations of Nestlé’s great new hope – except in the UK and Switzerland, where sales increased. The Swiss valued the can as an emergency reserve in air raid shelters, and with the help of their ‘lucky tins’ the British were able pick up their lives again after surviving the Blitz. But the war also proved to be a shot in the arm for the product. In Germany, the Wehrmacht High Command had instant coffee produced for its special forces, and in the USA demand from the army was so great that in 1942 the product was classified by the government as a ‘commodity vital to the war effort’. In 1945, Nescafé was part of the Allies’ victory march in Western Europe and Japan as one of the items in the American CARE packages delivered to needy civilian populations – an invaluable publicity drive. For Max Morgenthaler, it must have been a very special experience to see his water-soluble coffee extract as the embodiment of a world rising again from the rubble of war. Gabriel Heim is a book and film author and exhibition organiser. 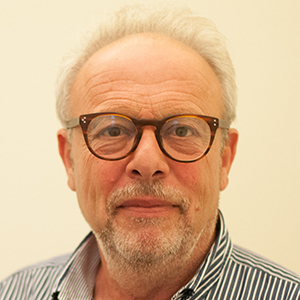 He is principally concerned with research into topics of modern and contemporary history and lives in Basel.